printed by Jimmy on our Heidelberg Cylinder. 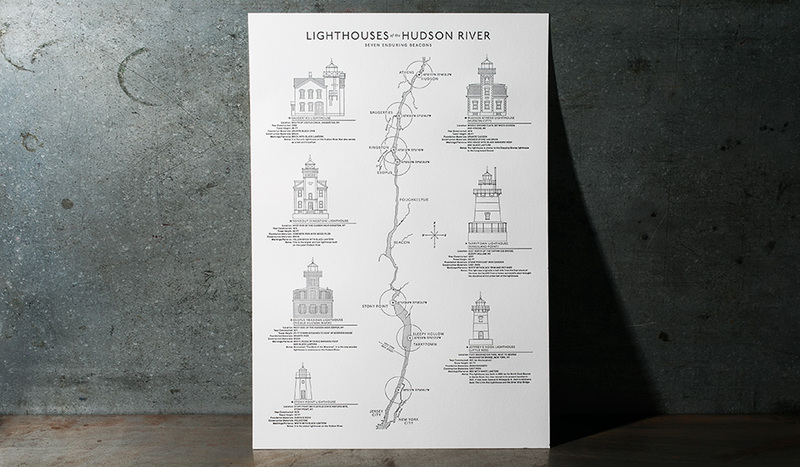 Lighthouses of the Hudson River is a substantial 13.5 inch x 19.5 inch poster with drawings and descriptions of seven lighthouses situated on the river between Hudson and New York City. 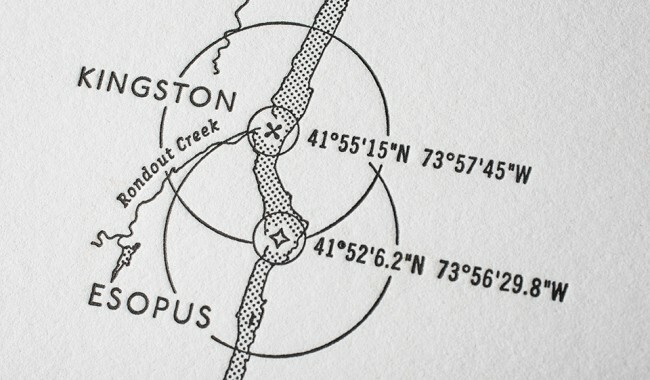 A map of the river showing the location of each lighthouse runs down the center of the poster. 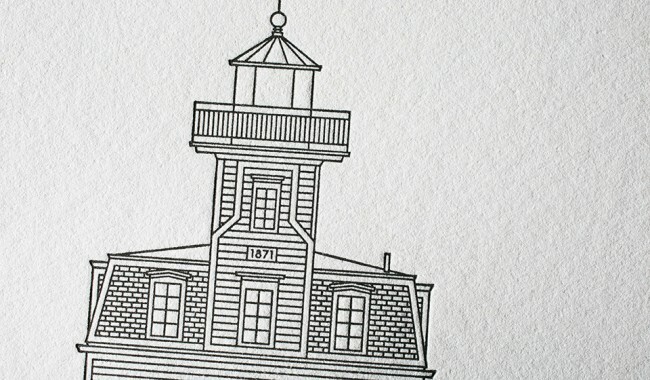 We love the nautical theme and the clean crisp lines – perfect for letterpress! Norm tells us that he was inspired to create the poster when he stayed at the Saugerties Lighthouse. 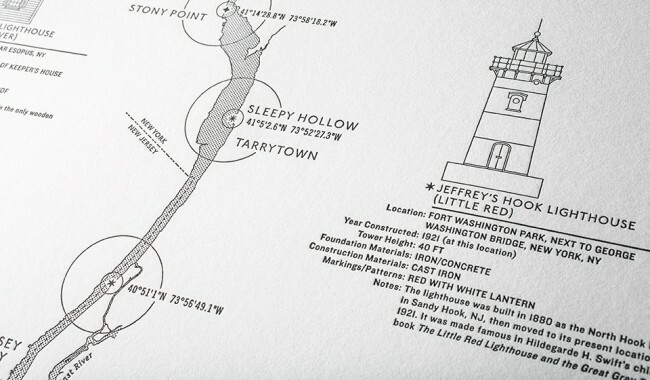 That trip got him interested in lighthouses and their history in relation to the Hudson River.